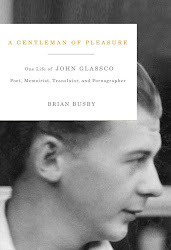 John Glassco - A Gentleman of Pleasure: A Long Lost Song of the Sea? I caught myself singing this ditty while going through some paperwork last autumn. Ribald? You bet! 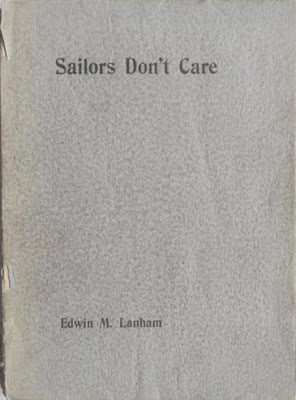 But my real interest lies in the song's connection to American author Edwin Lanham's debut novel Sailors Don't Care (1929), first published in Paris by Contact Editions. 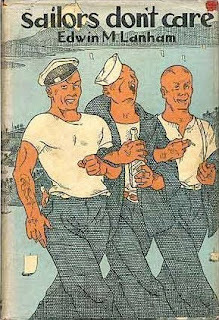 The author and his publisher, Robert McAlmon, had contradictory stories as to the origins of the title – each credited the other – though it's probable that they drew from our own John Glassco. Then a teenager, the Montreal poet had learned the song aboard the Canadian Traveller, the cargo ship that in 1928 carried him across the Atlantic to his Montparnassean adventures. Fourteen years later, Glassco wrote McAlmon, reminding him that the title "was taken from Captain Miller's (no relation to Henry) song in the second chapter of those abortive memoirs of mine ... both you and Ed read it, I know." It's worth noting that Sailors Don't Care was published twice. The less ribald 1930 Jonathan Cape edition will set you back US$1000. The truly wealthy might consider the most desirable copy of the dirtier first edition, currently listed online. Inscribed by Lanham to McAlmon's partner in publishing William Carlos Williams, it goes for a mere US$2250. Reliant upon his siblings, McAlmon died in near-poverty in 1956. 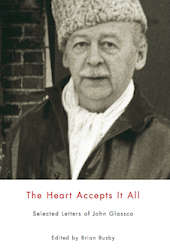 At the time, Lanham was living a hand to mouth existence as a writer of mystery novels. Glassco had yet to publish his first book.